With 2019 right around the corner, there’s no better time to tidy your inventory reports and brush up on best practices for creating and customizing insightful reports in WO Traffic. Clear and correct inventory reports aren’t just nice to look at. They play a crucial role in providing sales teams and other stakeholders with accurate numbers that are a basis for maximizing revenue and making better decisions. 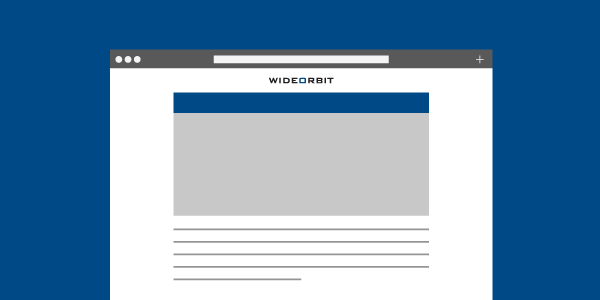 Earlier this month, WideOrbit Business Analyst and WO Traffic expert Abbe Woodruff presented on how radio traffic pros can create business value from better inventory reports. Abbe took a deep dive into WO Traffic functions that improve inventory oversight and pinpoint hidden opportunities for stations to make more money. Download or watch her full presentation here. Learn more by watching the webinar here, and make sure your station starts 2019 on the right foot!